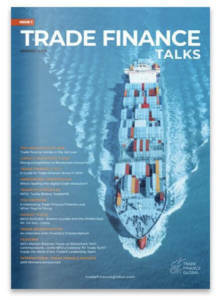 Trade Finance Global have launched a Scholarship to students studying international trade and shipping, in recognition of the global trade skills deficit. The first of its kind, the scholarship provides undergraduate and postgraduate students with $700 USD / £500 grants to assist with graduate studies. The TFG Accelerate Scholarship is a global scholarship awarded to selected students who demonstrate an ability to add value to the global trade finance and shipping / logistics sector, by contributing towards their professional development and university fees. The scholarship also provides an immersive 5 week long e-learning course in international trade, commercial finance and shipping. James Sinclair, TFG’s Marketing Manager, said: “The skills gap in international trade is hindering global trade – we see it every day. We’ve seen significant opportunities in recent years to help close the trade finance skills gap and the TFG Accelerate Scholarship is certainly helping us get there. The TFG Accelerate Scholarship is now open for applicants and the Initial Screening Application (to assess participant eligibility) ends on the 31st May 2018. 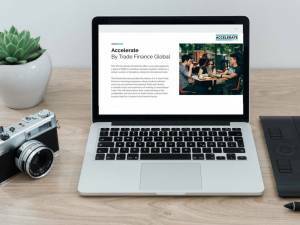 To find out more about the Scholarship, visit their page here: https://www.tradefinanceglobal.com/accelerate-scholarship-2018/. Download the Accelerate Pack to find out more.